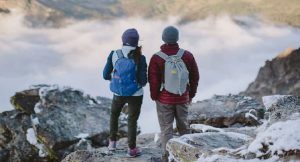 Winter can be chilling cold and we naturally take a liking for the quilt, but that shouldn’t stop us from venturing out and having fun, especially when there are so many travel destinations ideal for the winter travelers. 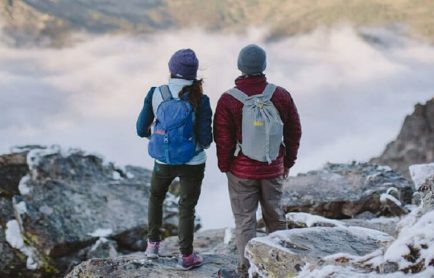 There are many people who love to go out and explore the world when trees have shed their leaves and snowfall is common, making the environment captivating for one and all. 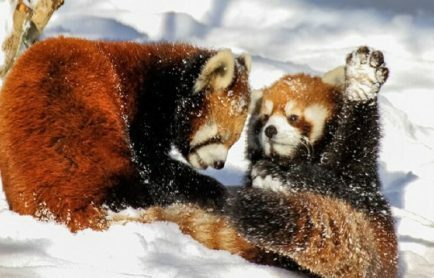 For wildlife lovers, there are so many destinations which are at their visual best in winters. The weather is pleasant in the winters and you don’t feel the same level of tiredness as you feel in summers. Another thing that works in your favor is that all the national parks remain open throughout winters giving you the liberty to choose from all these wildlife destinations. One of the largest biodiversity hotspots in the Eastern Himalayan sub-region, Namdapha National Park is known for four species of felines-the common Indian leopard, clouded leopard, snow leopard and tiger. 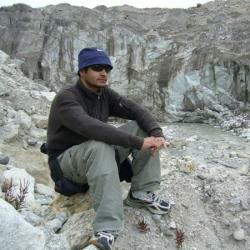 In winter, the temperature here drops to 8-20 degree Celsius which is just perfect for a wildlife outing. Namdapha National Park is also famous for its bird species which migrate here from different countries in winters in search of suitable weather conditions. Named after the Pench River in Madhya Pradesh, Pench National Park has rich flora and fauna with the tiger being the main cat species. 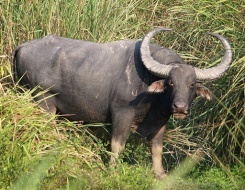 The national park is also home to the sloth bear, wild dog, striped hyena, barking deer etc. Pench National Park has cold winters and the temperature drops down up to 4 degree Celsius. One will experience chilly winds at this national park in winters. Various migratory birds such as Barheaded Geese, Brahmini Duck, Pochards, and Coots come here to experience the winters of Central India. When the weather conditions become favorable for travelers with the mercury level coming down, Jim Corbett National Park is ideal to be witnessed in winter. You can spot wildlife coming out into the open in the daytime to laze around in the sun. The humidity level also drops and the weather becomes pleasant. 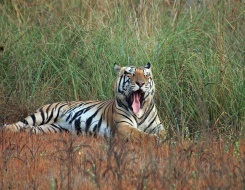 Jim Corbett National Park is the oldest national park in India, and is best known for conserving the rare Bengal tiger. Moreover, all the tourism zones are open in winters for the easy access of travelers to every nook and corner of the national park. 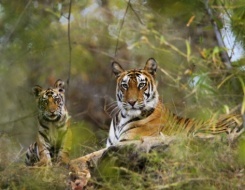 Literally meaning ‘Brother’s Fort’, Bandhavgarh National Park has some of the highest density of Bengal tigers. 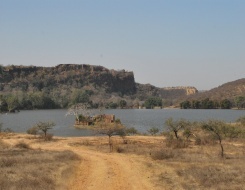 Winter is the peak season for visiting this national park as the summer heat in Madhya Pradesh is unbearable. 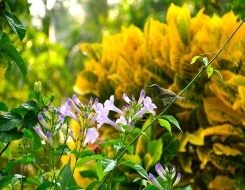 With the arrival of the monsoon, the flora and fauna come to life and are at their visual best to be enjoyed by the wildlife freaks. A paradise for various bird species, Bharatpur Bird Sanctuary is a brilliant wildlife destination to be explored in winters. Also, a UNESCO world heritage site, this bird sanctuary has a pleasant weather at daytime in winters. In winters, this bird sanctuary attracts foreign species of birds from Afghanistan, Turkmenistan, Serbia and China. Best time to visit Bharatpur Bird Sanctuary: August-November for watching resident breeding birds and October-February for migrant birds. Dotted with an abundance of flora and fauna, Gir National Park enjoys moderate climate throughout the year. The only home of the Asiatic Lion, Gir National Park is visually stunning after the monsoon, when the flora and fauna gets rejuvenated after rains. 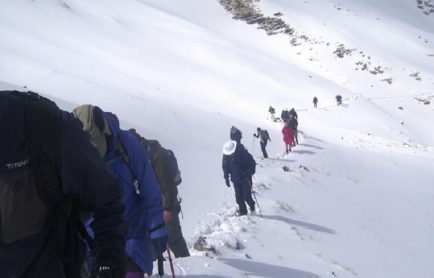 With a pleasant temperature in winters, you can explore this national park with full enthusiasm and energy. Best time to visit Gir National Park: Late October to early March. One of the most talked about national parks, Periyar National Park lies on a mountainous area of cardamom hills. This national park is home to around 35 species of mammals and 265 species of birds. The temperature remains pleasant here with a minimum of 15 degree Celsius in December. 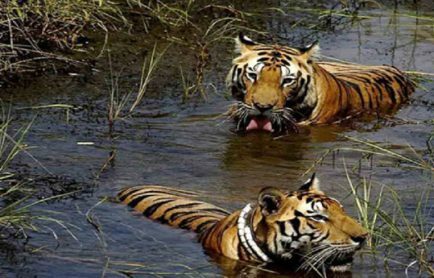 Tiger, leopard, striped hyena, deer, sambar, Asiatic elephants etc are the major residents of this national park. Kanha National Park is the paradise for avifauna as well as migrant birds in winters. 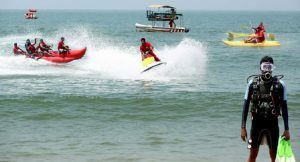 Due to unbearable heat of summers in central India, winter is the peak season for visitors. The national park is home to various species of tigers, leopards, wild togs, and jackals. The national park is open for visitors from 16 October to 30 June every year. 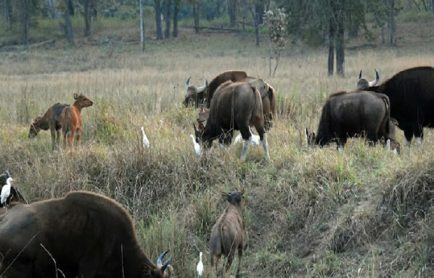 A safe shelter for the Assam Roofed Turtle, Pygmy Hog, Hispid Hare, Wild water buffalo and Golden Langur, Manas National Park is also a UNESCO World Heritage Site. The national park has 53 species of mammals, more than 22 species of reptiles, more than 350 species of birds and 3 species of amphibians. The whole national park is washed by the heavy rains in monsoon. 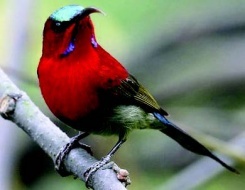 Best time to visit Gir National Park: November to March, when one can enjoy good bird-watching. 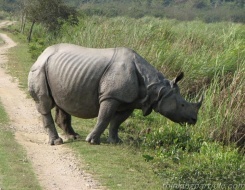 A UNESCO World Heritage Site, Kaziranga National Park is known for providing shelter to the great Indian one-horned rhinoceros. 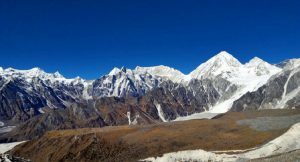 Winter in the national park is mild and dry with the temperature varying from 5-25° Celsius. Mosquitoes which are such a nuisance for travelers during the summers go on vacation during the winter season which makes it an ideal season for visiting this park. With the spirit of festivity all round, winter is the perfect season for an idyllic and truly beautiful wildlife outing. 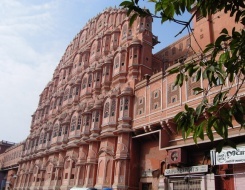 You can also enjoy mouth watering winter cuisines in India. Don’t forget to carry warm clothing to avoid unnecessary trouble and enjoy wildlife vacation to the fullest.